These may seem like a weird combination...cream cheese, dried cranberries, feta and green onions? But you would be surprised how well the flavors work together. They are so flavorful and I love how perfect they are for the holidays. 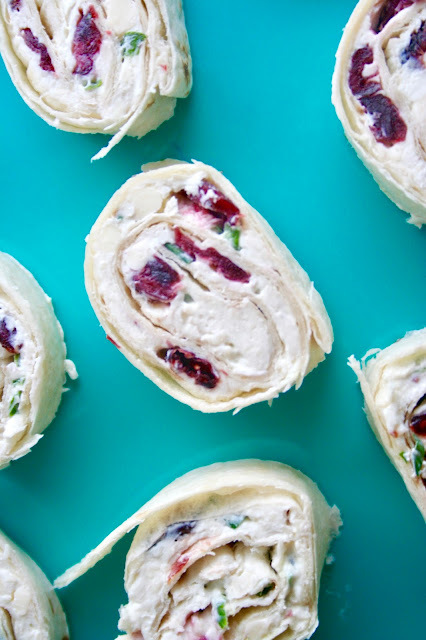 These are SUPER easy to throw together and would make the perfect appetizer and finger food for any New Year's Party. My one tip is to use high-quality tortillas because apparently if you don't, they tend to break apart. ^^See above^^ Anyway, these are a definite crowd pleaser and are sure to be eaten in no time! 1. In a small bowl, combine the cream cheese, feta cheese and green onions. Stir in dried cranberries. Divide the mixture evenly between either the two or four tortillas. Roll each tortilla up tightly and wrap in plastic wrap. Refrigerate for at least 1 hour. 2. 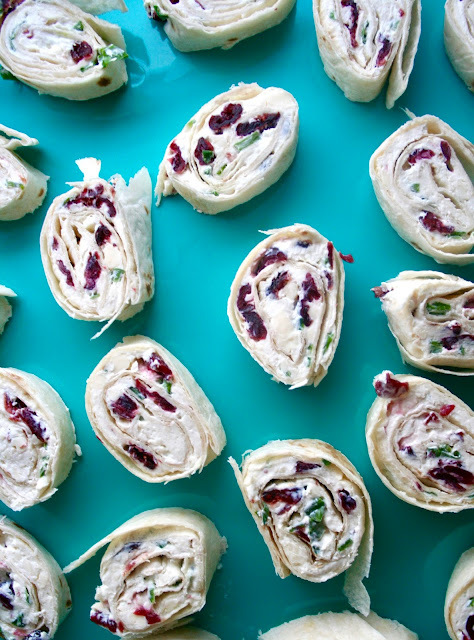 Slice the rolled tortillas into 1-inch slices and serve.